Ring in the New Year in St. Charles! The NEW YEAR is right around the corner! Ring in 2018 in beautiful St. Charles! 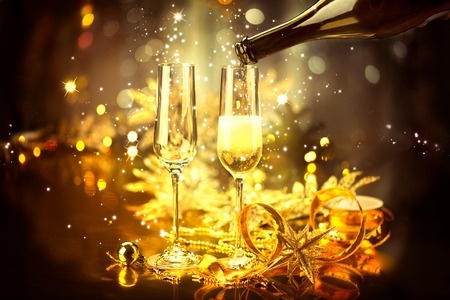 Celebrate New Year's Eve throughout St. Charles at one of these incredible festive events! With celebrations featuring comedians, live music, dancing, food, and more, you will start your New Year off right this weekend! Let your children celebrate the New Year with all the animals! Enjoy a toast at noon at this fun, family friendly event! Dine on a delicious 4 course dinner menu. Follow up dinner with dancing to a DJ during the NYE Celebration in the Waterfront Room. ARCADA THEATRE’S NEW YEAR’S EVE WITH THE DIVA MONTELL BAND! Celebrate New Years with The Diva Montell Band! Make a full night of it with a premium dinner buffet! The evening includes an open bar and champagne toast at midnight! Laugh the night away with nationally recognized comedian Julian McCullough. The 10:00 pm show includes party favors and balloon drop at midnight! CLUB ARCADA’S NEW YEAR’S EVE WITH THE JERSEY GIRL’S DANCE PARTY! Dance the night away with The Jersey Girl’s Dance Party! Enjoy a premium buffet, open bar, and champagne toast at midnight! Party with your friends and neighbors at this festive celebration. Enjoy party favors, DJ, champagne toast, and balloon drop. The Rullo Team wishes everyone in the Fox River Valley a Happy & Safe New Year’s Eve! Holiday Events in the Fox River Valley! Christmas is a week away! Start the holiday celebration early at great, festive community events throughout the Fox River Valley! 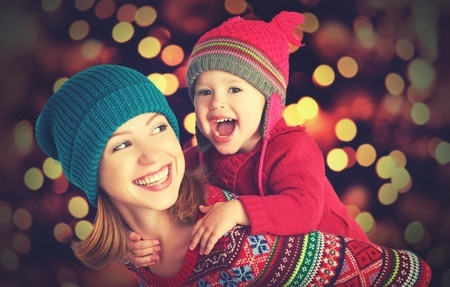 Get in the holiday spirit by checking out these fun events the whole family will enjoy taking place this week! See one of the most spectacular light displays in the entire country. The Larsen home is decorated with more than 1 million lights and is synchronized to holiday music. Started in 2005, this favorite local light show won The Great Christmas Light Fight on ABC. Decorate 4 spectacular cookies to leave out for Santa on Christmas Eve night. Cost: $49+ per person | Purchase tickets Here! Have a rockin’ Christmas with Poison frontman Bret Michaels! Bring your camera and take your photo with Santa before the big day! It's A Wonderful Life...On Our 40ft. Screen! Join the Arcada’s great annual holiday tradition and see one of the greatest Christmas classics on the big screen. Cost: $22-$28 per person | Purchase tickets Here! Enjoy a unique performance of the holiday classic as a 1940’s radio broadcast. Hear your favorite characters come to live by the ensemble cast. Have a special Holiday celebration and take the stress out of cooking by dining at the beautiful Hotel Baker on Christmas Eve. The Rullo Team wishes everyone in the Fox River Valley a very jolly holiday season!